The purpose of a query in Microsoft Access is to retrieve a particular set of data from one or more tables the query is concerned with. It can be used to group or filter the data according to the needs of the customer. Run a particular query and it will display you the results relevant to your query only. It is important to know how to work with simple queries. People create queries to solve various issues in their Access database. 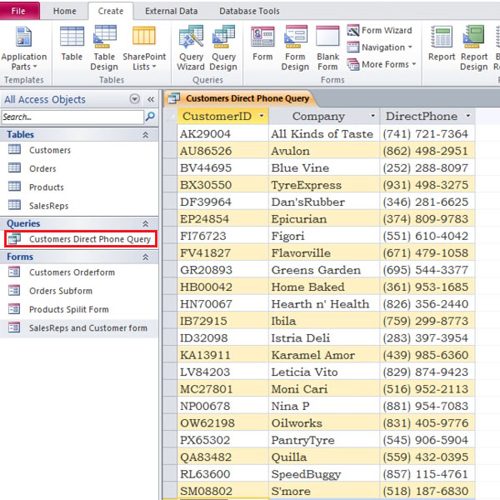 In this tutorial, we will teach you how to create a query in Access. 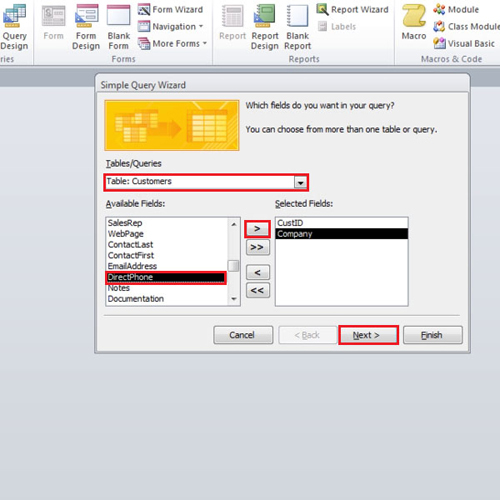 To create a query in Access, go to the create tab and click on the query wizard button. 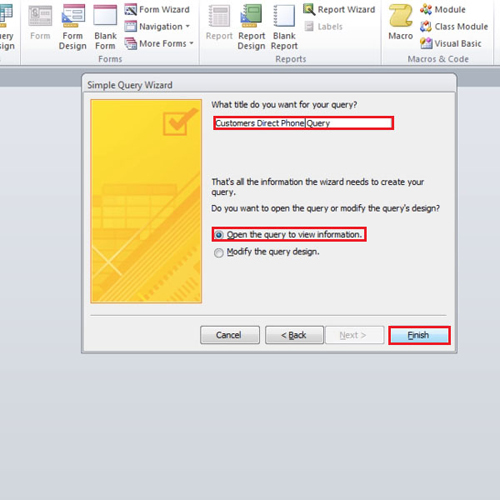 A dialogue box will open; from there select “Simple Query Wizard” and click on the “ok” button. From the drop down menu, select the customers table. Now select Customer Id, Company, Direct phone number and move them over to the right hand side. Once you are done, click on the next button to proceed further. Now, change the name of the Query to “Customers Direct Phone Query” and click on the “finish” button. 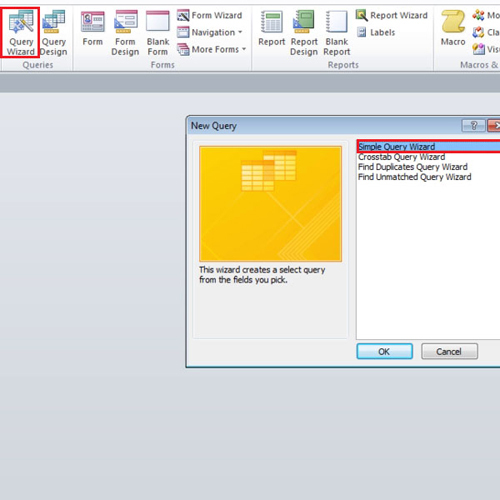 When you run the query in Access, the results for the query will be displayed. You will see the customer IDs, the name of the companies and their direct phone numbers being displayed. Now close and save the query. In the navigation pane available on the left hand side of your screen, you will notice a section for Queries has been added. You can double click on the query to run it again at any time in the future. In this way, you can work with a query in Access.